In this special live performance, Holden is transported into the cartoon-world via green screen technology. 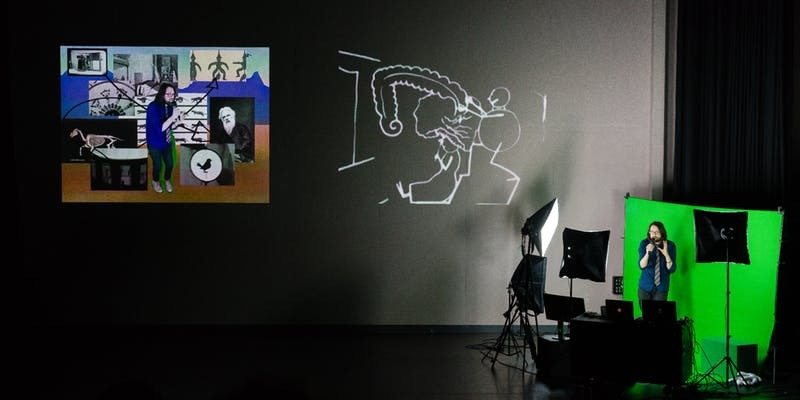 This leap into a series of familiar landscapes unfolds an astonishing journey through the history of animation, critical theory, physics and art, before arriving at contemporary politics and Holden’s theory that the world has now come to resemble a cartoon. 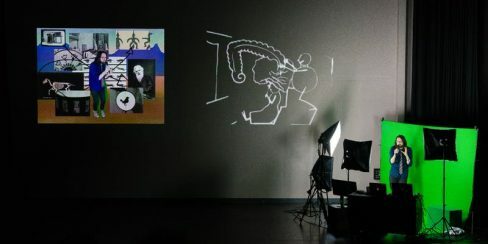 Holden attempts to deliver the lecture at the speed of a cartoon, his human body struggling to adapt to the various cartoon landscapes it is forced to inhabit. 1hr performance starts promptly at 8pm with music and short films before hand. No admittance once performance has started. Free admission, but a donation on the door is encouraged. Places are limited, so please register via the Eventbrite webpage.